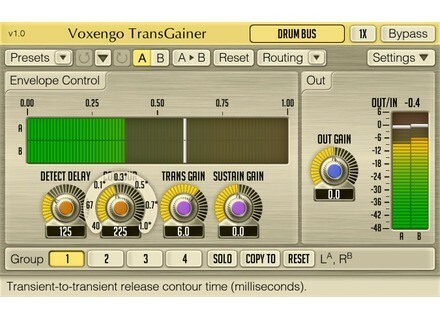 Voxengo updated its TransGainer transient designer plug-in to v1.5, which adds the VST3 plug-in format. Along with the new VST3 format, TransGainer v1.5 includes a new "Precise U" algorithm which details were not communicated. The plug-in is now available in VST2, VST3 and AU formats for Mac OS X and Windows 32 and 64-bit. You can download the update from www.voxengo.com. SONAR X3 is available As announced, Cakewalk launched the X3 version of its SONAR DAW, available in three Studio, Producer and Standard editions.